I love simple, old-fashioned cakes like this. 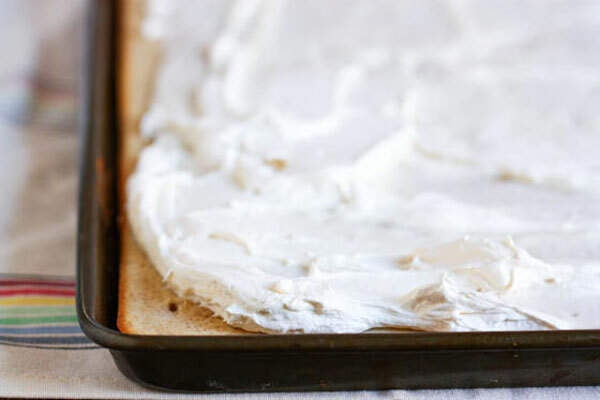 There’s just something so quaint about a simple sheet cake that makes it perfect as an afternoon treat alongside a cup of tea, or to serve to company after a fancy dinner feast. For the past few months, I’ve been working on baking my way through my great-grandmother’s recipe collection. Although this recipe isn’t from that stash it easily could have been! Cinnamon buttermilk just seems deliciously retro, if you ask me (I think I’ve just been watching too much Downton Abbey). It also seems like it should be made into an ice cream…I’ll have to get on that as well. This isn’t one of those beautiful high-rising cakes you see in the windows of bakeries… like I said, it’s a simple, thin cake but full of flavor from the cinnamon and buttermilk. And the frosting! Oh, the frosting….now that’s what dreams are made of. 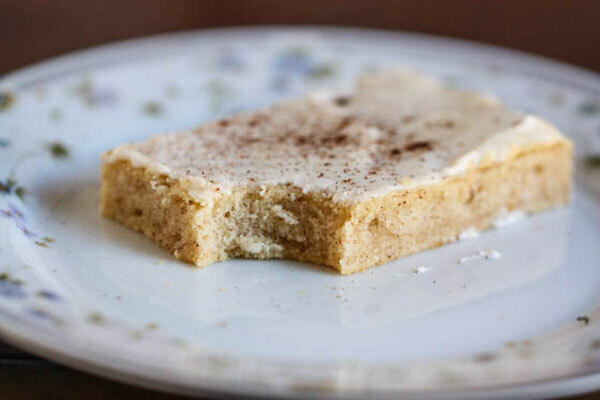 Try this cinnamon buttermilk sheet cake recipe for a different kind of cake that is filled with delicious cinnamon flavor and has the perfect silky texture you want from a cake. Food blogger Jenna Weber shares her inspiration for this unique tasting drink in a full post on the Fresh Tastes blog. To make the cake, preheat your oven to 350 degrees and spray a large 13 x 18 inch jelly roll pan or sheet tray with cooking spray. Cream together the butter and sugar until very light and fluffy, then add the eggs one by one---beating well after each addition. Add the vanilla extract and continue beating until batter is smooth and combined. Whisk together the cake flour, baking powder, salt and cinnamon in another large bowl and add alternately with the buttermilk to the butter and sugar mixture. 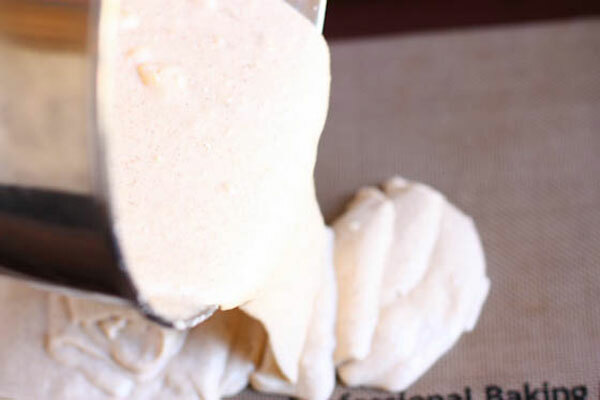 Continue beating until there are no lumps, then pour batter into your greased pan, smoothing out the top with a rubber spatula. Bake cake for 30-35 minutes until edges are golden and begin to pull away from the sides of the pan. Let cool completely before icing. To make the frosting, beat the butter with the powdered sugar and vanilla until fluffy---about 10 minutes on high. Spread frosting over the cooled cake and cut into small squares.